If you ever require urgent dental care because of a knocked-out tooth or painful toothache, don’t waste your time waiting at the ER! Instead, just give Powell Dental Group a call, and our team will work to see you as soon as possible so we can relieve your pain and fix your problem right away. We have the experience, equipment, and expertise to deal with serious dental problems you won’t find at your typical ER, and better yet, we won’t make you wait to receive necessary care either. 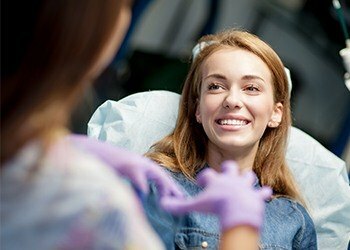 Why Choose Powell Dental Group for Emergency Dentistry? Rinse and floss around the tooth to dislodge any stray food that might be stuck and causing the pain. If this doesn’t help, or if the pain is sharp and overwhelming, have the patient take an Over the Counter medication such as Tylenol or Ibuprofen, place a cold compress on their face, and seek professional care as soon as possible. Toothaches never heal themselves, and infections can be deadly. Cover the remaining tooth with a piece of sugar-free gum or dental wax to prevent the edge from cutting or irritating the inside of the mouth. Contact your dentist as soon as possible to maintain the tooth’s vitality and structural stability. We can only replant a tooth within the first half hour or so after it has been dislodged, so you need to move FAST. Recover the tooth, gently rinse it off with saliva or warm water without touching the root, and quickly, with firm pressure, place it back into its socket. If this doesn’t work, store it either in the cheek or a container with milk—the tooth needs to stay wet to remain viable! Find the restoration, clear off any debris, and try to place it back onto the tooth, using a small dab of toothpaste if necessary to stabilize it. If the newly exposed tooth isn’t experiencing any pain, the patient can wait to schedule an appointment at their earliest convenience. Never participate in sports without wearing a protective mouthguard, whether the game involves physical contact or not! Don’t use your teeth as tools to open packages, bottles, remove tags, or even cut fishing line! Don’t chew on items like ice, pens, pencils, fingernails, etc. Brush and floss every day to prevent damage or infection in the enamel and gums. Come see us at Powell Dental Group so we can catch a small problem before it turns into an emergency later! 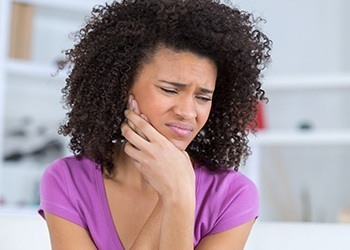 Minor emergencies can sometimes be treated with just a small filling, while more major ones may require a few teeth to be extracted and replaced. Basically, there is no set cost for emergency dental care, and we will go over your options as quickly as we can, so you know as closely as possible what to expect. For any concerns about out of pocket costs, flexible financing is available, and we also offer a discount plan that may even be used at specialist offices if needed.